Castle Candy Package - $9.99 SAVINGS! 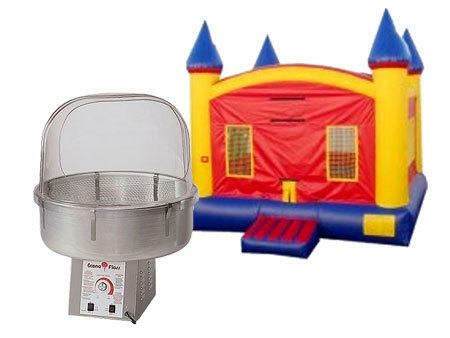 In the Castle Candy Package you'll get the awesome castle bounce house that's ready for your royal guests and the U Bounce Cotton Candy Machine. Includes supplies for 70 servings. Add to cart to choose your favorite flavor. Additional supplies available upon request for an additional fee.